For visitors wanting to explore the UNESCO-listed vineyards and take a walk along its marked trails, the Train des Vignes is the ideal starting point. Departing from Vevey, this railway line transports walkers to Chexbres from where they can enjoy a delightful and delicious walk to Lake Geneva. 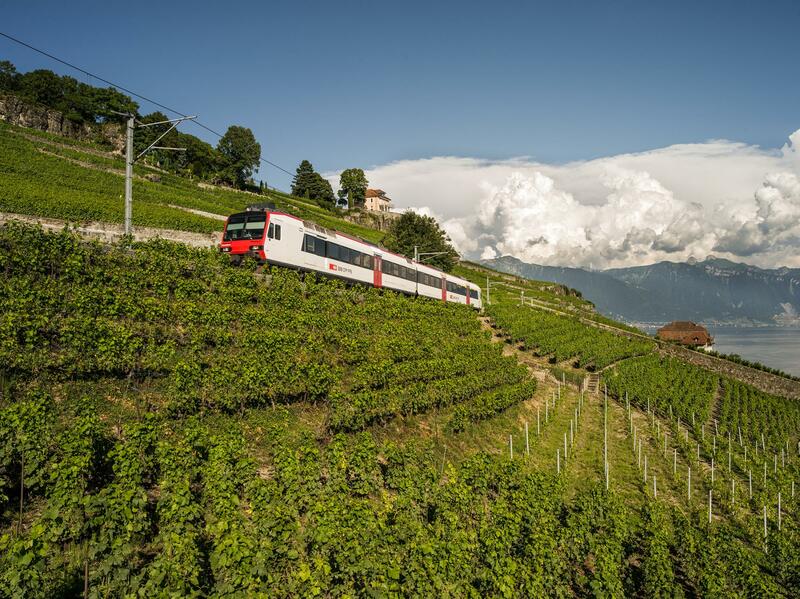 The local train running from Vevey to Puidoux, called the “Train des Vignes”, takes its passengers on a stunning ride through the Lavaux vineyard terraces, a UNESCO world heritage site, every day, at hourly intervals. Once at Chexbres station, there are lots of different walks across the vine-clad slopes. An informational marked footpath tells the story of the vineyard and its vines, and the “Lavaux-Panoramic” train on wheels takes visitors from Chexbres along the vineyard pathways, providing information about the features of the region. Local wine makers offer visitors a warm welcome in their cellars for tastings.